Getting the right divorce resources can make a huge difference in your divorce experience and outcome. The right resources can affect your experience of divorce and your outcome. Here are some of the divorce resources that can educate and prepare you for your divorce. You CAN get through your divorce without ruining your life, spending your retirement account on lawyers’ fees, and screwing up your kids. But, if you want to do any of that, you have to do two things first: PLAN and PREPARE. I know that may sound cold. But, let me ask you a question. If you were going on a trip to a foreign country, would you pack? Would you figure out where you wanted to go and what you wanted to see before you left? Or would you hop on a plane with nothing but the clothes on your back and hope for the best? Facing divorce is like going on a trip to a foreign country. You don’t know where you’re going. You don’t speak the language. And, while you really hope everything will turn out okay, you’re not exactly sure how you’re going to make that happen. If you want to put yourself in the best position to do well after your divorce, you have to start by managing the way you go through your divorce. The more you know on the front end, the better you’ll do on the back end. That’s what The Divorce Road Map 2.0 is all about. 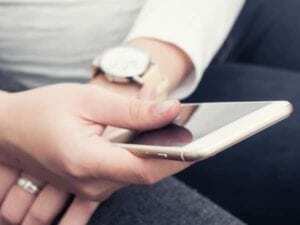 It gives you access to the reliable information you need to get through your divorce as amicably and efficiently as possible, while saving time and money, too. The Divorce Road Map 2.0 puts you in the driver’s seat of your divorce. If you live in the U.S., and you want a step by step guide through your divorce, check out The Divorce Road Map 2.0. 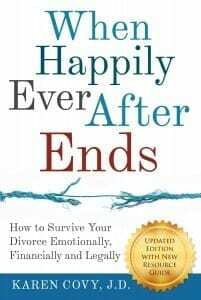 If you’re looking for a book full of real stories and practical wisdom, check out When Happily Ever After Ends: How to Survive Your Divorce Emotionally, Financially, and Legally . It is full of realistic, actionable advice on how to manage every aspect of your divorce. You can find information on how to deal with custody and parenting issues. You can also find information on managing your finances, navigating through the court system, and dealing with your emotions. This divorce book is an affordable tool that will help guide you through your divorce with more confidence and clarity. 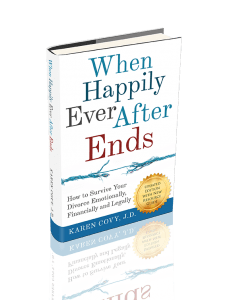 CLICK HERE to order your copy of When Happily Ever After Ends today! If you’re a parent, helping your kids get through your divorce with the least amount of trauma possible is probably one of your top goals. Helping them adjust to life after your divorce is equally as important. Yet, managing your kids’ schedules and expenses across multiple households can be challenging! Co-parenting with your ex during a time when you might not be getting along all that well is rough too. Having the right co-parenting app can make co-parenting with your ex enormously smoother. Out of all the co parenting apps on the market today (and there are a LOT of them!) the one I like best is Our Family Wizard. It has been used by thousands of divorced couples over the past 15+ years. Our Family Wizard has the co parenting tools you need for messaging your ex, dealing with your kids’ schedules, managing your kids’ expenses and much more. Got questions about divorce? You’re not alone! Divorce can be complicated. What’s even worse is that the divorce process often doesn’t work the way that you think it should! 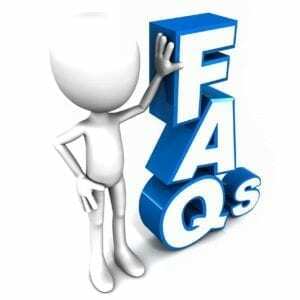 CLICK HERE to get answers to the most common divorce questions about the divorce process, grounds for divorce, division of property, child custody, child support, parenting time/visitation, alimony/maintenance, and much, much more. Or, if you live in Illinois, you can get information that is specific to your Illinois divorce here. You can learn about the Illinois divorce process, alimony in Illinois, or discover answers to frequently asked Illinois family law questions.